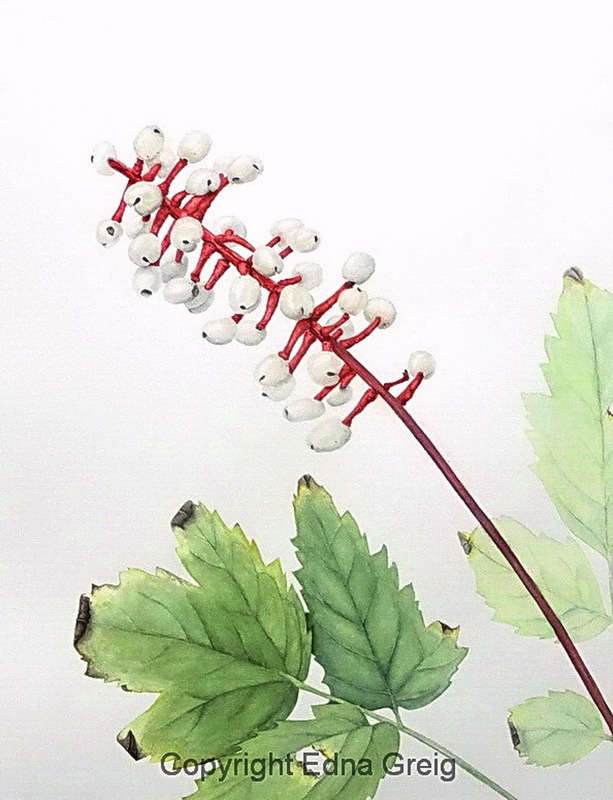 Dolls’ Eyes, also called White Baneberry, is common in rich forests of eastern North America. 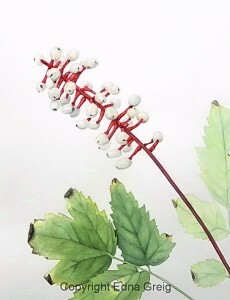 It blooms in late spring with a cluster of delicate, white, fragrant flowers. It’s best known for its showy clusters of shiny white berries that persist on the plant from late summer to early autumn.